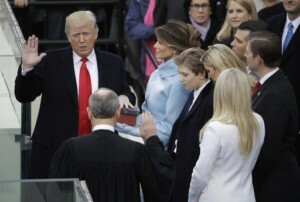 Donald J. Trump was just sworn in as the 45th President of the United States. His presidency promises to be very different than his predecessor. This weekend on The Christian Worldview, we’ll look back at the legacy of former President Obama, considering his most significant policy initiatives such as the Affordable Care Act (aka Obamacare), the Iranian nuclear deal, the Paris global warming agreement, and his relentless advocacy for homosexuality and transgenderism. We’ll also look forward to the presidency of Donald Trump. Will he “Make America Great Again”? Will his policies stimulate the economy and job creation, secure our borders and streets, repeal and replace Obamacare, and even bring peace to the Middle East? We’ll also take your phone calls on both presidents. Anniversary of Roe vs. Wade is Sunday, January 22, 2017.